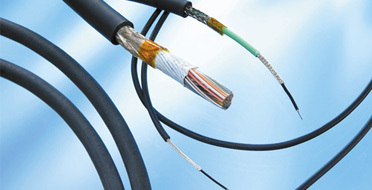 Order easy from our range of cables, connectors and cable assemblies with optimised characteristics for many different request and applications. The products comply with REACH, RoHS and standards such as UL, MIL, SAE, ESA/ESCC, IPS/WHMA-A-620 etc. With our expertise and wide experience we also develop custom designed products in close cooperation with customers. Experienced engineers with extensive knowledge, products approved to standards like UL, MIL and ESCC, continuous process control and improvements in production and test facilities for validation of any product characteristic, ensures products with the right quality. AMGAB is ISO 9001 certified and the manufacturing sites are certified to ISO9001, EN9100, ISO/TS 16949 and ISO 13485. Products from AMGAB are used in different applications. From drilling for oil and gas under the seabed to spacecrafts exploring outer space. We have cables and connector specifically made for HD displays, two-way radio, surgical instruments, thermal vacuum testing, BUS systems in military aircrafts, sensors in steel works and many other applications and markets.